May 8th will mark the centennial of Robert Johnson's birth. Johnson was the most important musical figure to emerge from the Mississippi Delta. His short life and untimely death is shrouded in mystery and myth. The stories are legendary, from selling his soul to the devil at the crossroads, to varying accounts of his death by poisoning, to the debate over his burial site. One thing is certain however, the influence his music had on the blues and rock to follow was profound and is still felt today. The 75th anniversary of his first recordings, 'Terraplane Blues' coupled with 'Kind Hearted Woman Blues'. The 50th anniversary of the Columbia release "King of the Delta Blues Singers", which introduced Johnson to a new generatin of musicians including, Keith Richards, Eric Clapton, Bob Dylan and Jimi Hendrix. And lastly, the 25th anniversary of his induction into the Rock & Roll Hall of Fame. Images and text from my recent book, BLACK WHITE & BLUES. One of my favorites of your many wonderful blues portraits, Joe. Got Terraplane Blues spinning now. 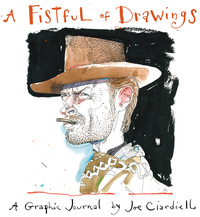 That's a damned fine drawing, Joe. Considerable mojo. Hot Tameles and they're red hot, yas gott'em on sale! Exquisite. I love the handwriting, how that ribbon of black makes the face pop and how the elegant restraint in other parts of the drawing give the image such tension. beautiful drawing, and it speaks well to the blues hero! 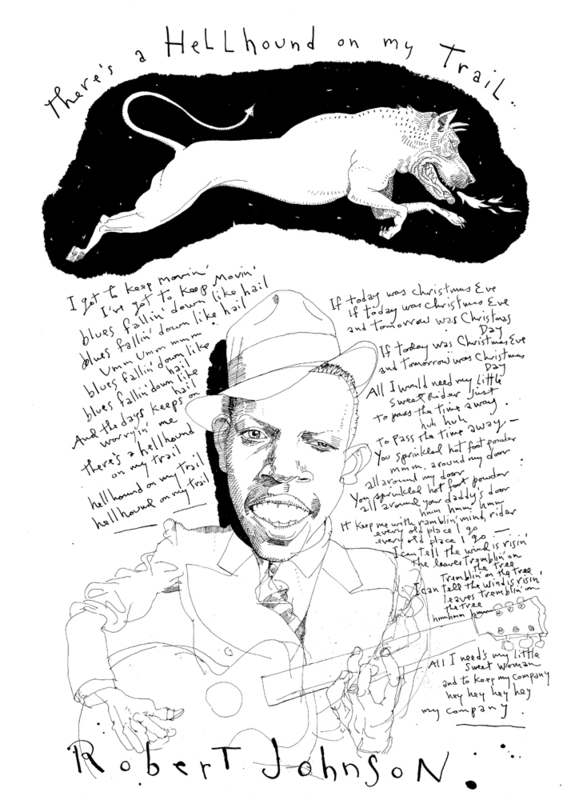 Beautiful drawing, Joe, of the great mystery that is Robert Johnson.